Elgin City boss Gavin Price. 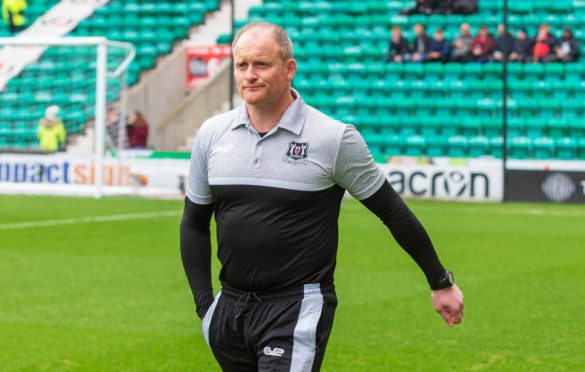 Elgin City manager Gavin Price insists the Black and Whites cannot allow today’s opponents Stirling Albion to stretch further ahead in the chase for a League 2 promotion play-off place. Sixth-placed City are five points adrift of the Binos ahead of today’s Borough Briggs encounter, and a further point behind Annan Athletic who occupy fourth spot. With 14 games remaining, Price says his players must take the opportunity to close the gap on their promotion rivals. He said: “At this stage of the season, there is no hiding from the fact it’s a big game. “We can’t afford for them to go eight points ahead of us, so let’s not dress it up – it’s an important game for us. “We are at home, they are on a great run, but I’m confident enough after the last two games that we have taken a couple of steps forward. We will go into it with optimism. City ended a run of four league matches without a win in last weekend’s 3-0 victory away to Albion Rovers and Price, who has an injury doubt over defender Matthew Cooper, hopes his side can pick up from where they left off.